The fight is on to save the energy of the future, or at least what had been seen as the future of power. For the last decade, the push for carbon-free energy has focused on wind and solar, with some room for hydroelectric power. However, nuclear energy, which had been billed as clean, safe, and reliable just a few decades ago, has quickly fallen out of favor, much to the chagrin of energy pragmatists and those who believe it plays an important role in American national security. The passage of the new budget brings nuclear power back into the energy debate with the inclusion of new tax credits, but even these are unlikely to be enough to encourage the construction of new nuclear generators. Nuclear plants have been the subject of discussion in Washington over the past week after utility company FirstEnergy asked the Department of Energy (DOE) to invoke emergency cost supports for certain coal and nuclear plants operated by PJM, a regional transmission company serving 13 states and the District of Columbia. Secretary Rick Perry said during a House hearing last week that retirement of nuclear plants could harm national security, but stopped short of calling for the same type of emergency action. At the heart of the debate is the reality that nuclear power is struggling to compete with other generation methods on price alone. At the same time, it has failed to benefit from the subsidies currently helping other no-carbon generation methods, such as wind and solar. Some lawmakers are attempting to rectify this approach at both the national and state level, but these efforts are largely piecemeal. For example, the new budget passed in early February included nuclear power production credits. Under the nuclear power tax credits, new nuclear generators will be eligible for tax credits up to $18 per megawatt-hour (MWh) of electricity for up to 6GW of new generation capacity. The tax credits were part of a bipartisan plan led by then-Rep. Tom Rice (R-Ga.) and Rep. Earl Blumenauer (D-Ore.) with an eye towards encouraging the completion of Georgia Power’s Plant Vogtle AP1000 reactor project and the advanced nuclear technology of the future. So far, the Vogtle plant has been languishing years behind schedule and billions of dollars over budget. Supporters of the credit hope that it will encourage the development of addition nuclear capacity and that building more will lower the price per project. At present, the U.S. has not constructed a new generator since the late 1970s and the knowledge and skills gap utilities need to overcome to construct a new plant is substantial. “The 45J [tax credit] fix was the final federal action needed to complete Vogtle. Finishing Vogtle maintains our nuclear construction workforce and allows us to mount competitive bids for nuclear exports internationally in areas with large power demand like Saudi Arabia – at least until advanced reactors are ready for market,” writes Spencer Nelson, a policy associate focusing on nuclear energy and energy economics for ClearPath. What support nuclear generation is seeing has come from the state level. 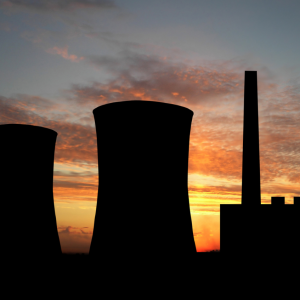 For example, last Thursday, New Jersey legislators passed a proposal establishing a retail surcharge to support the state’s nuclear fleet. The subsidies were packaged along with substantial boosts to the state’s renewable portfolio standards, bringing the goal to 35 percent by 2025 and 50 percent by 2030. Under the terms of the subsidy, the state would provide a $300 million annual subsidy for its remaining nuclear power plants, a move that had been pushed for by Exelon and the Public Service Enterprise Group to keep the plants in operation. If the bill is enacted, it is predicted to cost ratepayers an additional $30 to $41 a year, although savings from the new tax plan may reduce the price. The bill would also make New Jersey the third state, after New York and Illinois, to compensate nuclear plants for carbon-free generation. The legislative proposals are an attempt to boost the construction of nuclear generators during a period where utilities are hesitant to start new construction. Last week, William Von Hoene, chief strategy officer at Exelon, the largest nuclear operator in the country, was bluntly pessimistic about the future of nuclear power in the U.S, saying barring “some extraordinary change in environment or technology,” no future nuclear generators would be built in the U.S. after the completion of the Vogtle plant in Georgia. In the long run, even support on the national level is likely to be insufficient to strengthen the American nuclear industry in the long term, says David Gattie, an associate professor of environmental engineering at the University of Georgia. He sees the tax proposals as potentially benefiting nuclear generators already in operation, but unlikely to help restart construction. “We need a national policy effort, with the political resilience to endure our election cycles, that reauthorizes fuel reprocessing, and that incentivizes the development and deployment of fast reactor technologies, small modular reactors and molten salt reactors,” he continued, stressing that only this national level focus would be able to help the country meet its future emissions and national security goals. It is a visionary proposition. However, nuclear generation still faces a hard slog to survive, let alone flourish, in the current energy generation marketplace.